Invasive weeds are not only unsightly, but can also damage your interlock and other hard surfaces. Protect your investment with our new HARD SURFACE WEED CONTROL. When we are at your site with your lawn care treatments, we will spot spray using our PaWaD all natural non-selective weed control. PaWaD Vegetation Treatment manages unwanted and nuisance vegetation in and around your Patio, Walks and Driveway. This is performed in an economical, expeditious, and environmentally conscious process with an approved product that is 100% NATURAL. 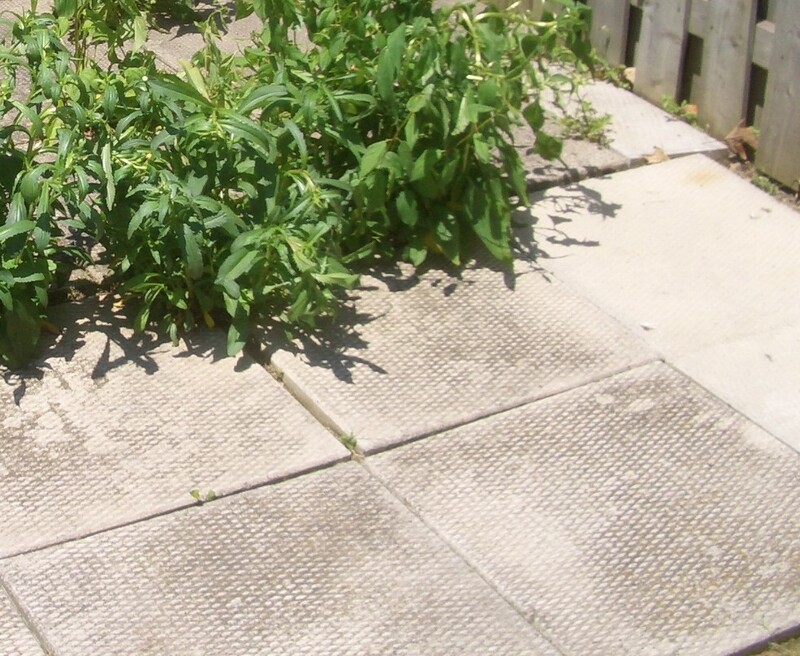 Patios, Walkways or Driveways that have unwanted weeds or grasses growing uncontrollably. BENEFITS Eliminates vegetation above ground and with repeated applications will kill the root systems. 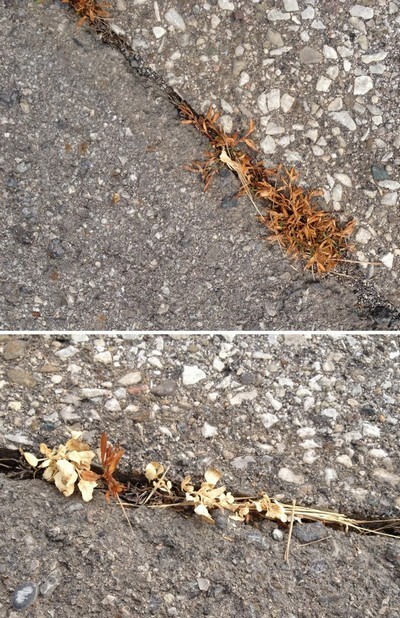 Please note that new plants may grow back from seeds and roots if cracks in pavement or interlock are not repaired, sanded and/or sealed properly. PROCESS Spray treatment by a Turf King Plant Health Specialist to target areas. 4 treatments per season.